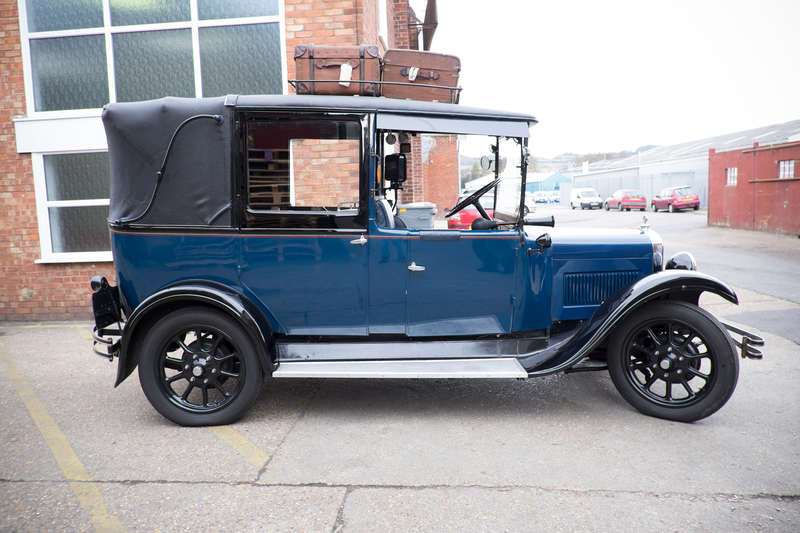 A wedding car with history that will create another great memory on your special day. 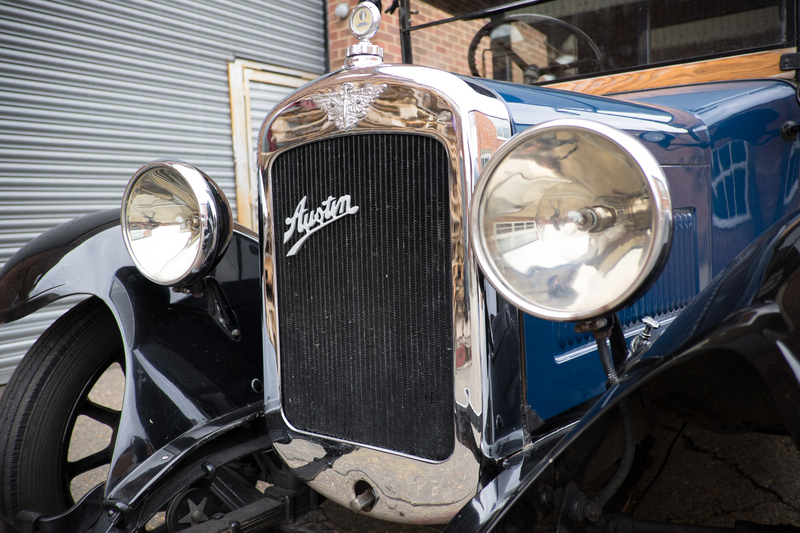 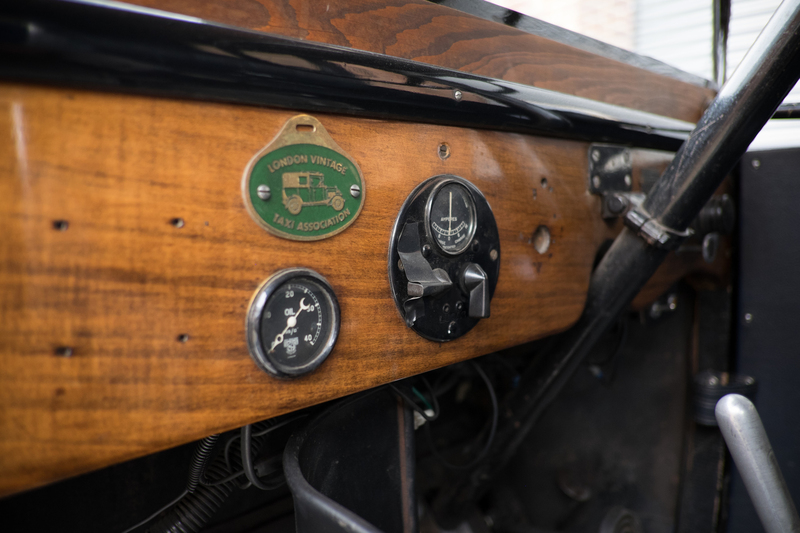 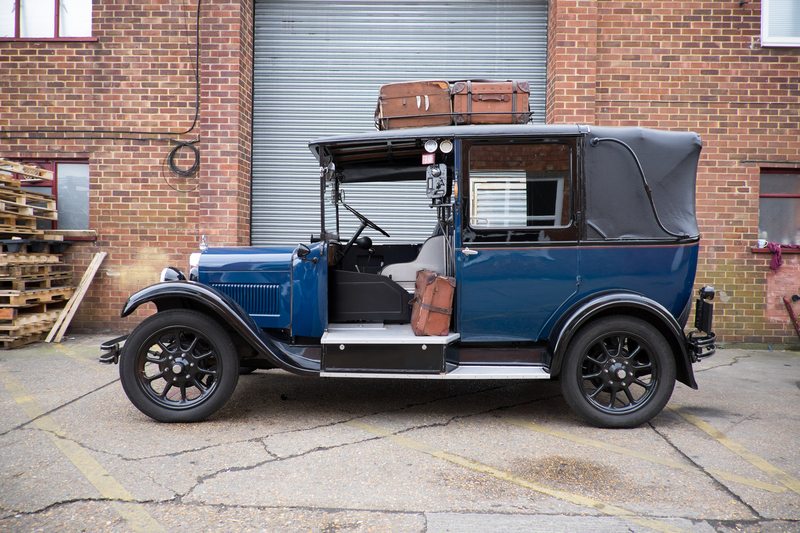 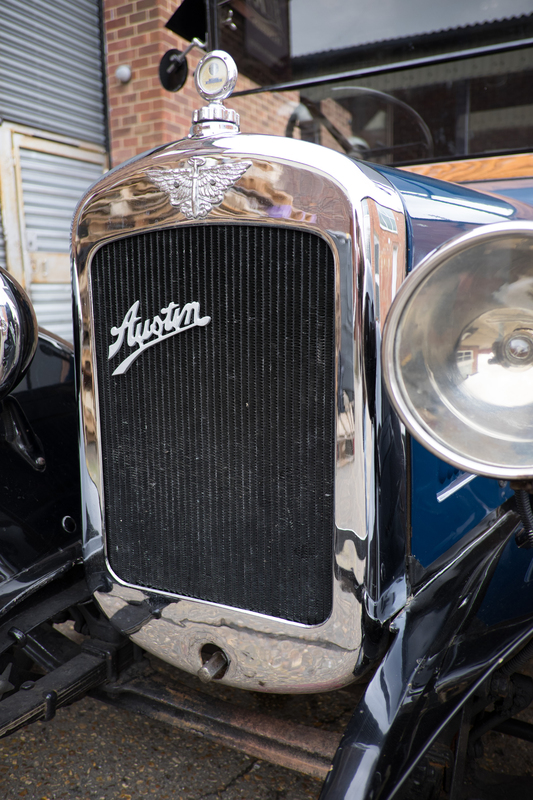 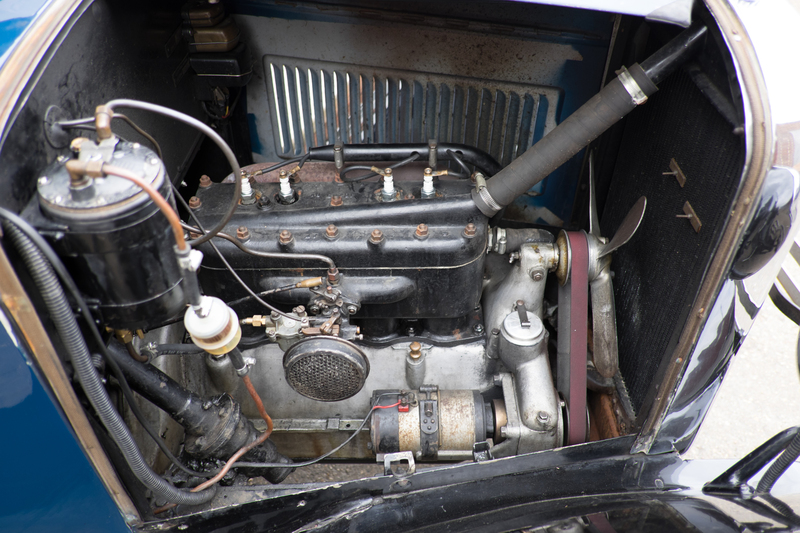 This vehicle travelled from London to America when owned by an American G.I. 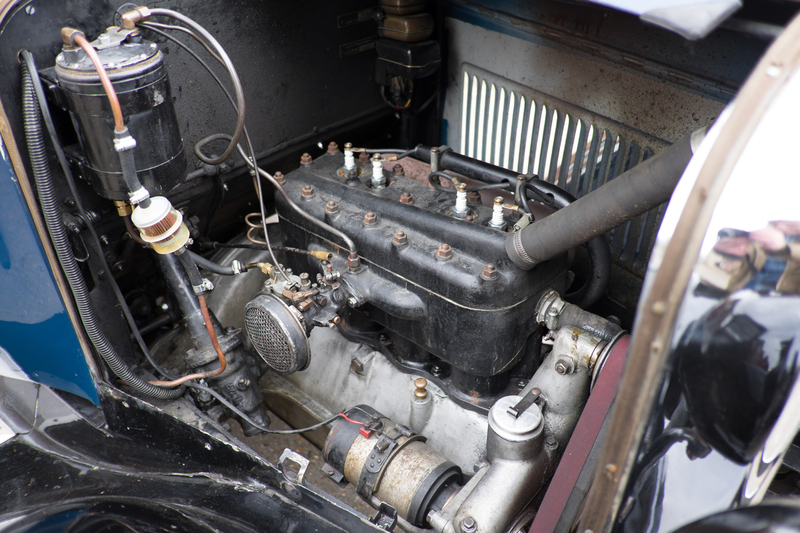 It was found about 20 Years ago in Edmonton, Canada, in a museum and in a very sorry state. 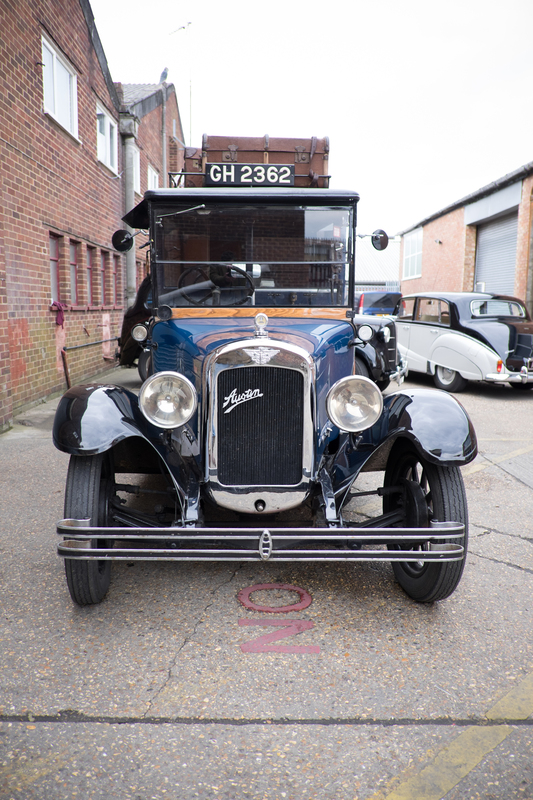 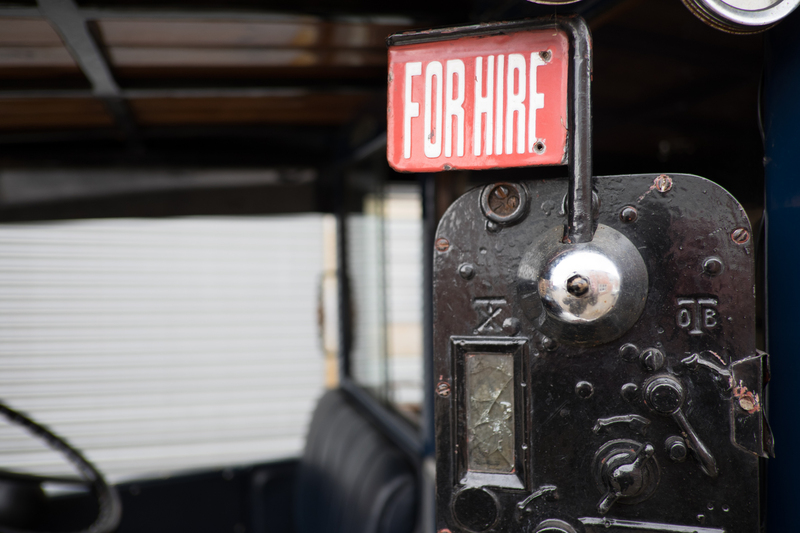 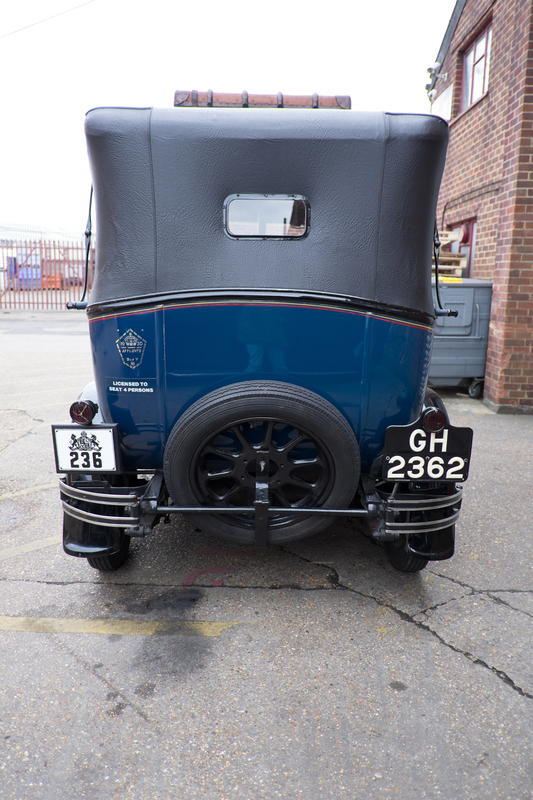 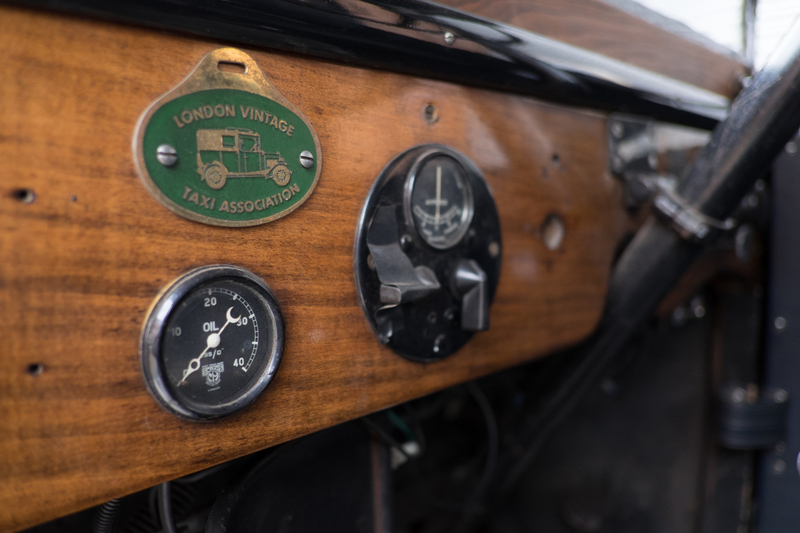 During the restoration it was discovered that the GH2362 number plate was, in fact, the oldest known London taxi still in running order. 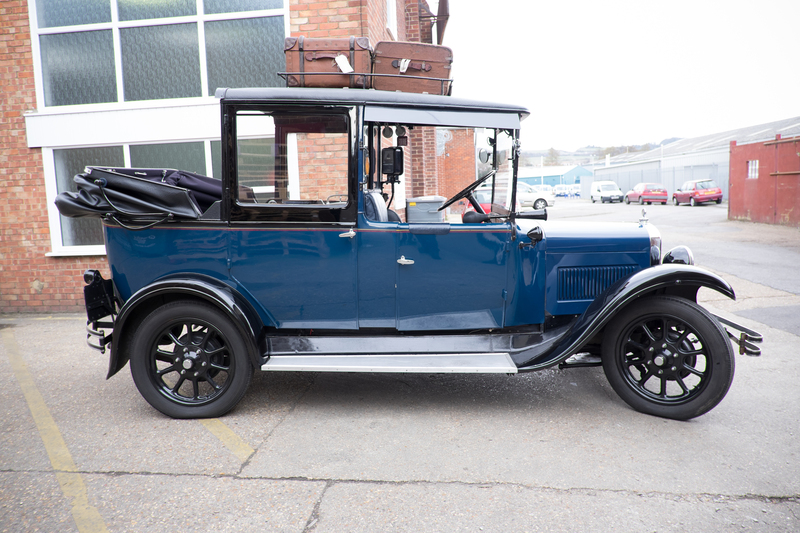 This Model will seat four adults in the back seats. 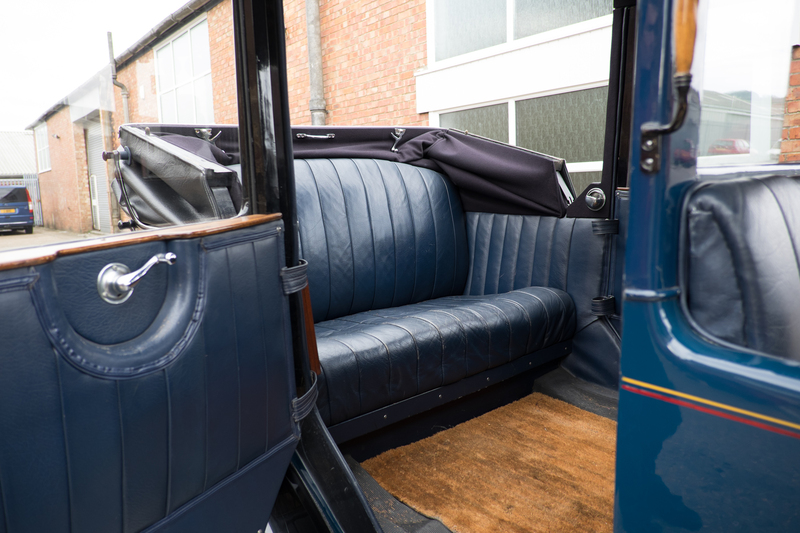 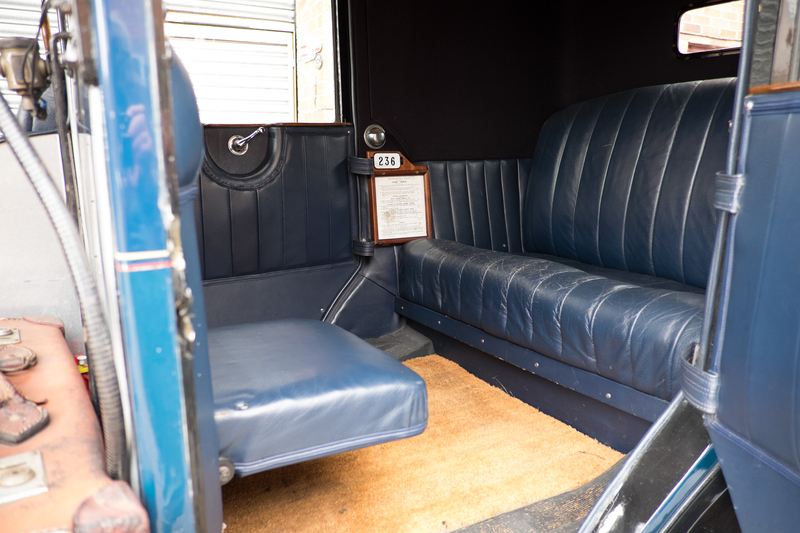 Of which two seats are occasional seats like in London taxi’s today.